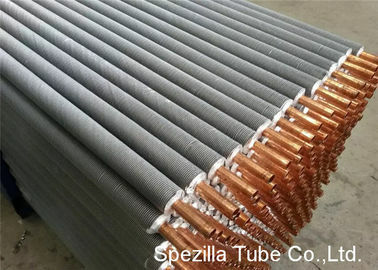 Tube Mateial : Carbon Steel, Stainless Steel, Copper & Copper Alloys Or As Per Customer’s Requirement. L-foot tension wound finned tubes are an economical solution for applications requiring greater resistance to vibration and heat cycling typical of air cooled heat exchangers. The L-foot finned tube design mechanically locks the fins and provides broader contact surface between tube and fin. L-foot tension wound finned tubes are commonly used in applications with metal temperatures up to 350 degrees Fahrenheit. Embedded finned tubes offer solutions where higher temperatures, continuous thermal cycling and tube vibration due to high velocity air streams can cause failures. The fin is mechanically embedded into a groove that is plowed in the tube O.D. and is locked into place by rolls that force the groove to tightly close around the fin base. Embedded finned tubes are commonly used in applications with metal temperatures up to 750 degrees Fahrenheit. Extruded finned tubes provide the greatest resistance to atmospheric corrosion. The aluminum fin material completely encloses the tube, except at the ends where a tube coating can be applied. Where atmospheric corrosion is present and when operated within design temperature limits, extruded finned tubes provide the most stable performance over time as compared to the other fin types. The fin is rolled from an outer aluminum tube by a process using pressure to create a rolled "pressure bond" between the liner tube and fins. 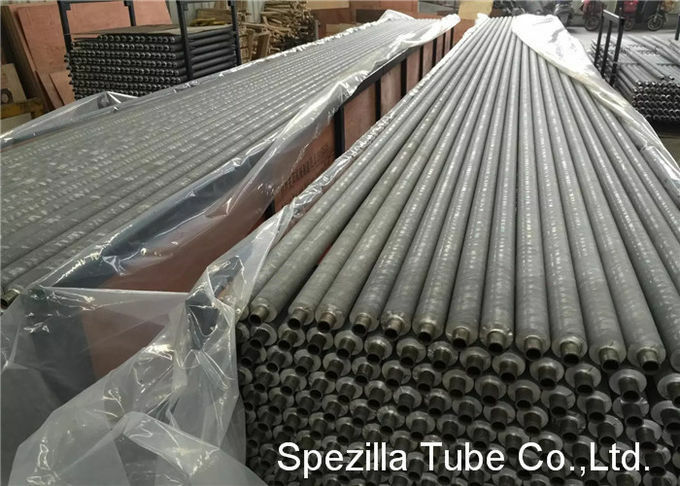 Extruded finned tubes are commonly used in applications with temperatures up to 550 degrees Fahrenheit.